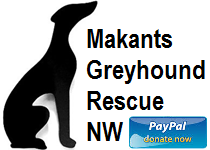 This weekend is a super busy one for all the volunteers at Makants. We really appreciate all the hard work they do for us all year but especially at this time of year when everyone is so busy. We're also very grateful to everyone who has donated items which helps to make our fundraising so successful. Tomorrow, Saturday 1st December, you can find our fundraisers at both the Tyldesley Christmas lights switch on event and also at the Damhouse Christmas fair from 10am to 3 pm. We also have volunteers running our kennels shop (M29 8PF) on Saturday morning from 10 am to 12.30 pm. On Sunday 2nd December our fundraisers are out in force at our Christmas fair which is being held at Boothstown British Legion from 12 noon to 4 pm.